Since 1958, Geralds has been a trusted source for Diamonds and Fine Jewelry. Our customers come to us for our extensive knowledge, our attention to detail and our caring service. We hope you take the time to browse our website so you can see what sets Gerald's apart from other jewelers. Our extremely high standards of Diamonds, chosen by us directly, from site holders in Antwerp, Belgium and the quality of our hand selected and fine designer jewelry, along with the many valuable services we offer. All of these aspects of our business are so important but, what we feel most defines us is our love for the Oak Harbor community and our sincere appreciation for our customers. 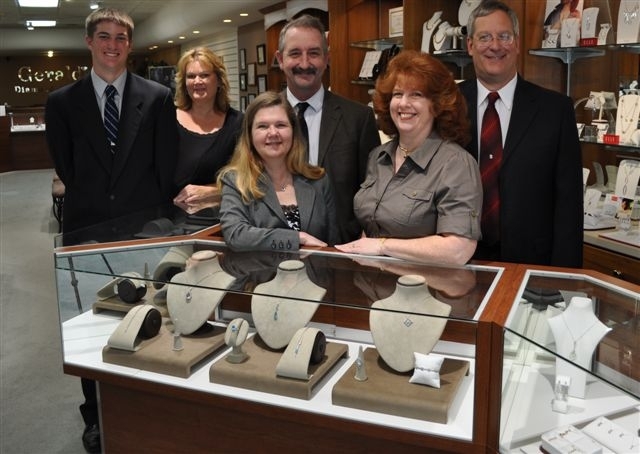 At Gerald's, we're committed to providing our customers with the finest jewelry experience in the Pacific Northwest. From the minute you walk through our door, you will recognize the commitment we make to treat you with the courtesy and respect you deserve. Diamonds and jewelry are beautiful things but, our customers make this a beautiful business. We really enjoy our work and the most enjoyable part of it, is the friends we make, and the customers we serve. So we invite you to visit Gerald's soon.